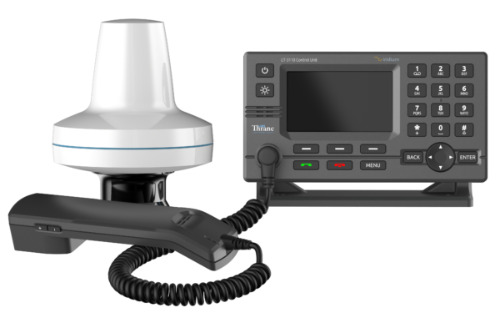 The LT-3100 Iridium Communications System is a maritime satellite communication product, designed for the professional market (deep sea, fishing, and workboats), but can be used for the leisure market as well. The LT-3100 system has voice and data capabilities with 100% global coverage via the Iridium satellites. The LT-3100 system consist of a control unit, handset-unit, and antenna unit. A single coaxial cable connects the control unit with the antenna unit.